Toward my effort to make my own wardrobe basics, I tried my first sewing project on a sewing machine since middle school. My grandma bought me this sewing machine (affiliate) for Christmas 2017 (thanks, grandma! ), and I was excited to make a black midi skirt to show off when I came back home to Columbus for Christmas. The TL;DR — it did not go well… but I think that’s only because of my body type. See, I’m a pear shape, which loosely translates to all about that bass. But I still think the process that got me a useless scrap of fabric is worth exploring, because the method behind my madness wasn’t wrong — I just had… well… too much booty. I firmly believe that everyone should know their body measurements. It’s easy for men; their pants correspond to their approximate height and stomach size. But for US women… what does a size 10 mean about your measurements? 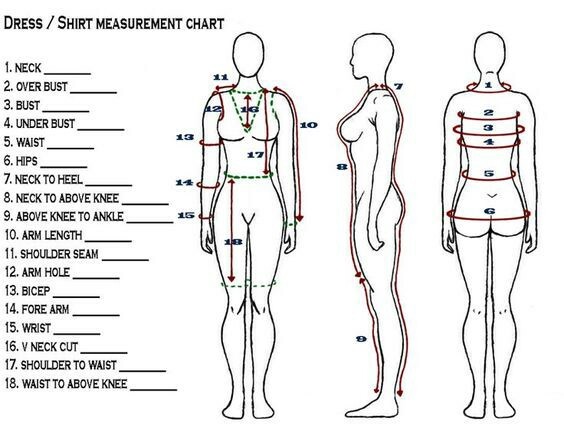 And how many of you have properly measured your bra size? The formula for a circle skirt isn’t that complicated — but the less math I have to screw up, the better. That’s why I love this circle skirt calculator I found. 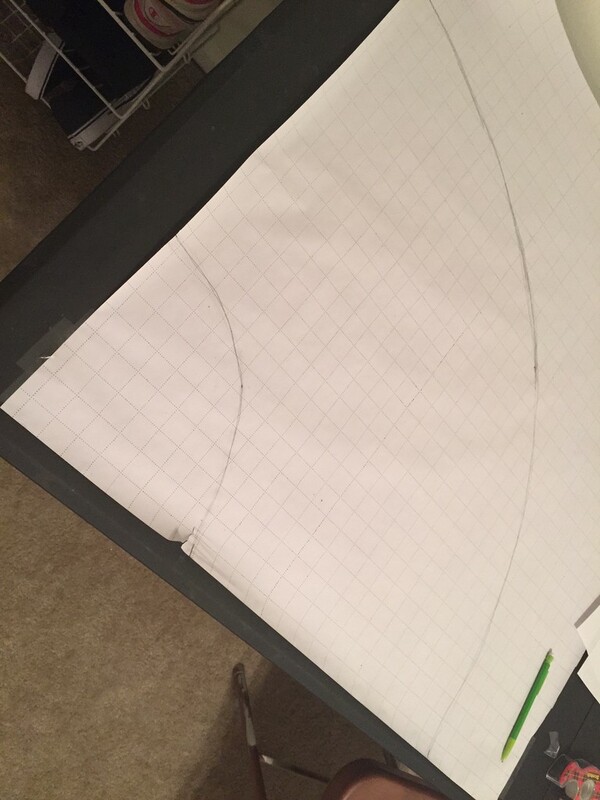 I put in my measurements and was told exactly the cuts I needed to make to form my circle skirt — more on that in a second. With my planned skirt length and width, I was ready to go! — sort of. If you want to sew your own circle skirt and you happen to have a healthy BMI, great! You can look up any circle skirt guide on Pinterest, cut out your shape, add some elastic, and throw on a hem. Easy as pie. Unfortunately, things are a little harder on the plump side of life. Because we often need more than one yard of fabric, we have to cut our skirt in pieces and then assemble. I found this great tutorial for a four-panel circle skirt. It requires a bit more assembly than a traditional circle skirt, but it was easy to follow even for a beginner like me. And it was about two inches shorter in the back than in the front — not because of my sewing, but because… well. Dat booty. And hiking up that much in the back does not make for an appropriate view, believe me! Looking back, I think I’ve always had this problem — back from the full-length brown ombré skirt I loved so much in high school when it wasn’t cool at all, to the short dresses that I could never get to work with my lower half. It’s the curse of the pear, really. I still need a reliable Midi skirt at some point. An uneven cut has been mentioned a few times on social media, so I feel that’s a good step. My favorite dress is knee-length in the front and floor-length in the back, and it is super flattering! How do you know what style of clothing will fit you, though — before you commit a fashion faux pas? Patience, that’s how. I’m working on a big resource to help you find your body type and customize a wardrobe just for you, along with some other helpful tips. That won’t be launching until later this year, though, so stay tuned… and wish me luck with my next project!